Imagine if everything you did on your smartphone was logged somewhere and was being tracked. 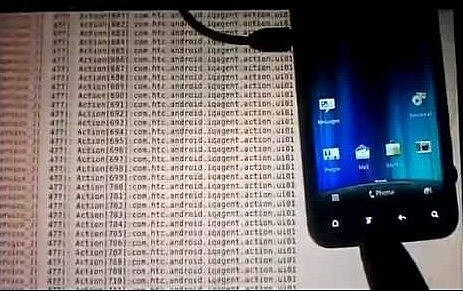 Well, according to a security researcher, there is hidden software, known as Carrier IQ that is found on some smartphones including HTC, Blackberry and Nokia. Trevor Eckhart says the application can also log the URL of all websites searched on the device and there is nothing the user can do to stop it because the software runs constantlywhen the Android operating system is running. Eckhart refers to Carrier IQ as a "rootkit," which is a security term for software that runs in the background without the user's knowledge and is commonly used in malicious software. long, but certainly worth your time if you are concerned.